On or off the slopes, girls want to be comfortable, especially when they’re wearing multiple layers. The Bogner Adela 1/4-Zip Fleece Mid-Layer is the perfect blend of high-end luxury and high-end comfort in a shape made just for smaller bodies. The 100% Italian Pontetorto microfleece feels great against skin, especially in dry winter weather. 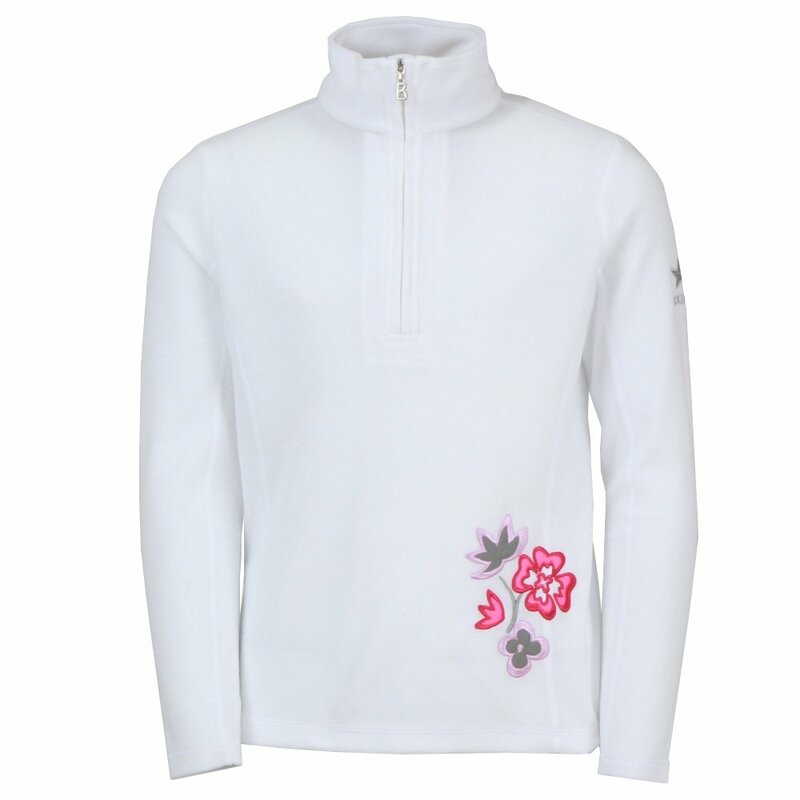 Bogner added on a little bit of Swiss-inspired flower embroidery at the bottom, making the Bogner Adela 1/4-Zip Fleece Mid-Layer a sure favorite for girls from Aspen to Zurich.